M. Night Shyamalan returns to write and direct the conclusion to the Unbreakable trilogy he started to make 19 years ago. 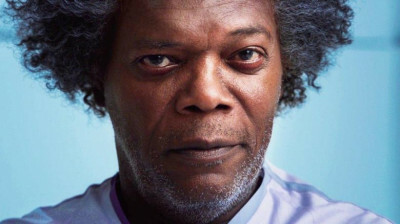 The original Unbreakable was a modest box-office success on it's original release but it gained a reputation over time as one of the filmmaker's most unique films and has gained a cult following over the years. 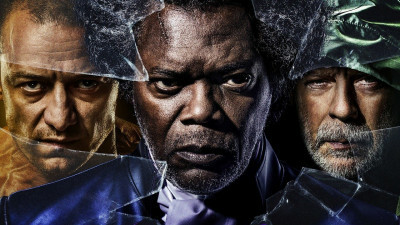 The film was followed by the stealth sequel Split and is now concluded with Glass, starring James McAvoy, Samuel L. Jackson, and Bruce Willis. Glass was a film long in the making with many hurdles along the way. The original Unbreakable was never a massive box-office hit (following the sensation of The Sixth Sense was no easy task) and it garnered much more fandom on home video than it did while playing theatrically. M. Night wanted to make a trilogy out of this story from the beginning but was met with hesitation by Disney executives at the thought: why bother to make a sequel to a modest box office success? A sequel just couldn't muster up enough enthusiasm from executives for the filmmaker to get the greenlight. Flash forward to years later and M. Night Shyamalan went through many ups and downs in his long career of filmmaking. He went from being proclaimed as "the next Spielberg" by Time magazine to being given some of the worst critical reviews in history with flops like The Last Airbender. Even despite some critical derision in the past, M. Night's career started to bounce back with the indie production The Visit (which he self-financed) and sold to Universal after being given a pass from several major studios. Then the writer-director upped the game significantly with Split, which he also primarily self financed (he even mortgaged his house in order to make it) and worked with Disney on the side to get the rights back to Unbreakable. Now we arrive at Glass. After years of waiting, M. Night had the opportunity to close out his trilogy with a bang. As a modest-budget Hollywood production (the film reportedly carries around a twenty million dollar price-tag), the film is larger in scale and budget than Split but carries the torch of M. Night's smaller-scale and intimate productions. The film picks up shortly after the conclusion of Split and begins by re-introducing the audience to the world of David Dunn (Bruce Willis). The ordinary man turned superhero is still fighting bad-guys on the side while running a home security business with his son Joseph (still played by the same actor, Spencer Treat Clark). David Dunn attempts to take out Kevin Krumb (James McAvoy) who has split personalities and is holding several teenage cheerleaders hostage. This is the kind of follow-up film I waited almost two decades to see: a smart, smaller-scale, and engrossing conclusion to the storyline established in Unbreakable. The film has some effective spectacle and action-scenes to boot... but don't walk into this expecting a Marvel comic book. Unbreakable's film universe was always more rooted in the real world than your typical comic storyline. Glass is keeping with the style and tone established in both Unbreakable and Split. The filmmaking is low-key compared to the Hollywood comic-book films audiences have become so accustomed to. Yet the film works wonders as a psychological thriller set within the world of comic books. In this universe, heroes and villains with surprising super-powers are real and aren't just mythological. It's a part of reality for this story and M. Night builds that as an essential background to the story-line he is telling. For those who are invested in these stories and characters, Glass is an exceptional conclusion which feels like the end to a great book. In a sense, you'll feel like you can't put it down as the story unfolds. Produced by Jason Blum (Get Out, Whiplash), Glass has a lot of great production elements from some other young filmmakers. The music score by West Dylan Thordson (Joy) is brooding and elemental in style. The film also features many classic cues taken from the original James Newton Howard score to Unbreakable. The cinematography by Mike Gioulakis (It Follows) has a fascinating use of color and helps to establish the tone. Glass has exceptional performances from the leads: James McAvoy, Samuel L. Jackson, and Bruce Willis. After so many years, it's great seeing Bruce Willis and Samuel L. Jackson back in these iconic roles. James McAvoy continues to surprise with his superb performance capturing the many different personalities of Kevin. M. Night demands a lot out of all of them (especially McAvoy) and they rise to the occasion. For those who appreciate the slow-build and unique directorial style of M. Night, Glass truly delivers in spades. From the small character moments on display to the uniquely framed artistic shots featured throughout the film, the entire creative approach on display here is 100% percent M. Night Shyamalan. Some audience members might hear those words and want to cringe. For true fans, Glass is a gift. Go see it.